ZipBooks is the best free Sage cloud accounting alternative available. 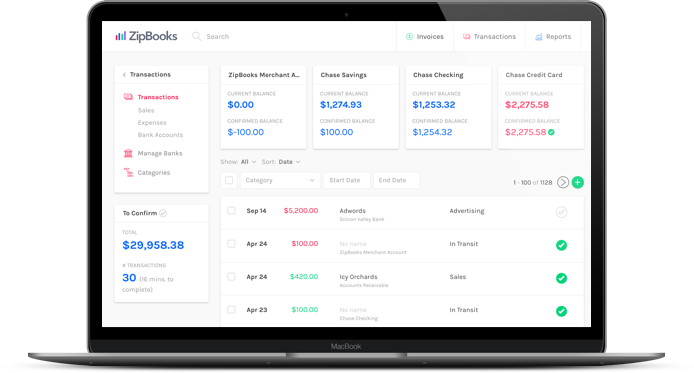 With efficient and professional invoicing, and the ability to store and access as many project and client profiles as you need, ZipBooks is absolutely the most profitable way to get you organized and get you paid. Sign up today! 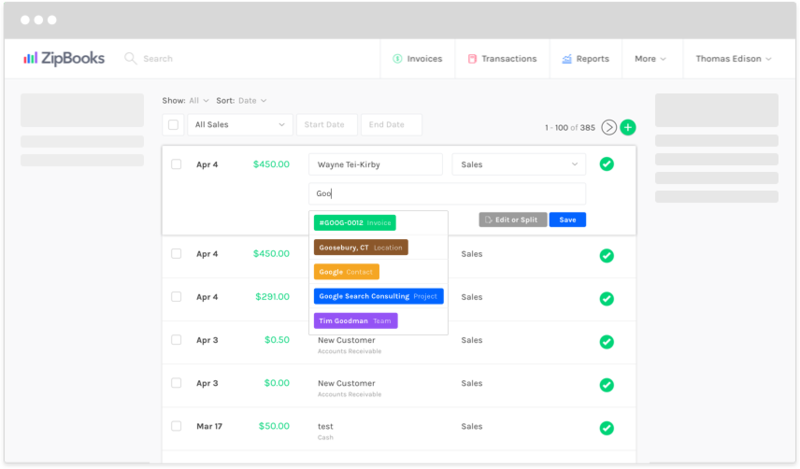 How many tries does it take to find the perfect invoicing and accounting software for your company? Just one. Sign up for ZipBooks and gain access to our professional invoice template that can even be sent from your phone or mobile device. 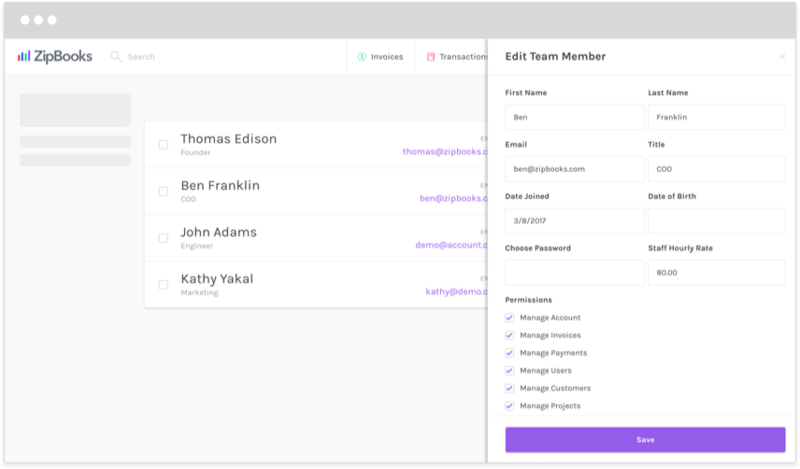 Store the names and contact information of clients you do business with, and create incomplete as well as completed projects under clients who you can later bill with the details you have recorded in ZipBooks. Additionally, record any estimates you have made under our “estimates” tab. You can also keep track of your time and write notes inside the projects and tasks you create. Create tasks within projects to break things down and organize what needs to get done. When you sign up for ZipBooks you’ll feel a rush of relief at just how many simple solutions you see. If you need to switch operating systems, change devices, or access your files on the go, ZipBooks has your back. You can log into ZipBooks from anywhere, and access our invoicing service anytime. If you’re on vacation but forgot to send an invoice, bill a client from wherever you can get internet access. If you’re working from home or running errands, access your client and estimate information with the click of a button. 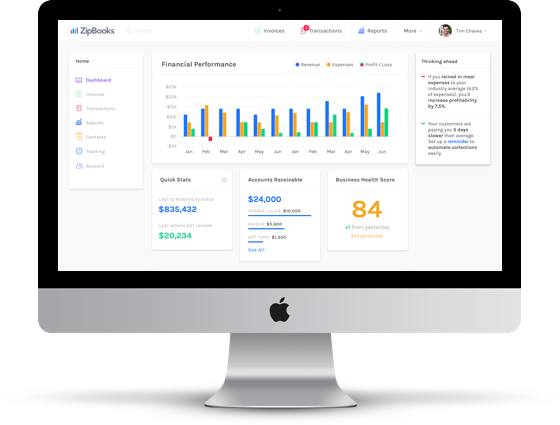 And if you record what you’re up to as you go, ZipBooks home dashboard will provide a simple graphic overview for you of what your money is doing. Take the office wherever you go with ZipBooks, the best alternative to Sage cloud accounting. Did you know one of the best ways to steady your cash flow is to make your invoicing process more efficient? 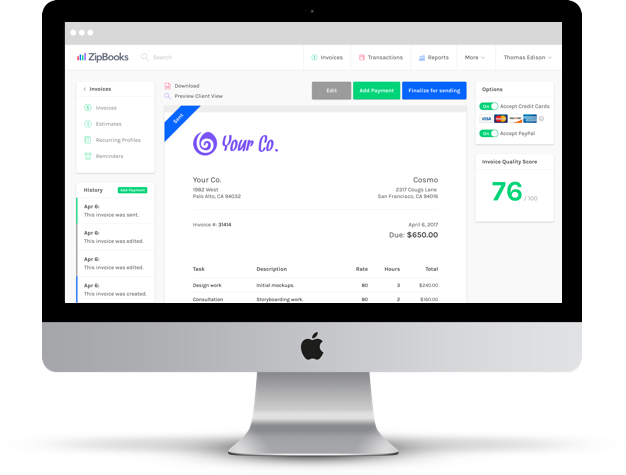 ZipBooks can speed up and clean up the invoicing process so that money can move back and forth from your accounts without interruption. Our simple invoicing software is the best available. 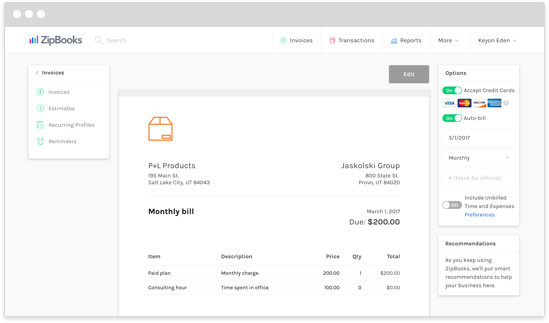 It takes less than five minutes to fill out and send an invoice, and invoices arrive in your clients’ inboxes in a professional format, giving clients the option to pay then and there through the invoice pdf. Are you still billing with paper? 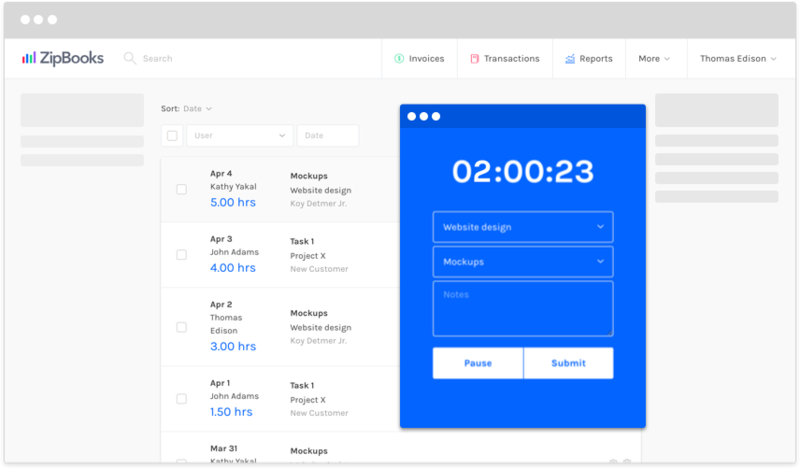 Clean up your desk and save time with our invoicing software. 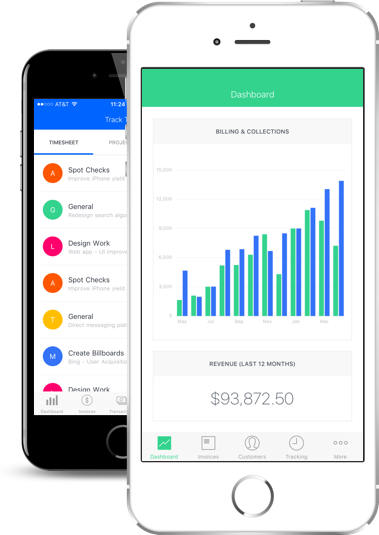 Are you using another invoicing software or template? Switch to ZipBooks to give a more professional impression and help you get organized and get paid. Don't worry about your data. Move to the cloud to sidestep hard drive and technical failure. And we've got your data protected with our 256-bit SSL encryption. Less paperwork means less to think about. Less to think about means less pressure on you. Less pressure on you means more time for you to work on projects you love. It's free! We promise. No hidden or monthly fees—we hate surprise expenses just as much as you do. We won't charge you a dime for using our software. Ever.